I am selling my backpack. It has been a great backpack. 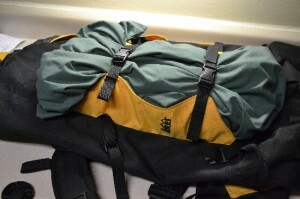 I took it to climb Kilimanjaro and have used it for a few other travels. It came from REI and is great! Overall, it is like new, minus a few dirt scuffs. Why, then, am I selling it? We’ve been gone for 2 ½ years. It sat in a box the entire time we were gone. We have a lot of stuff that we’re coming back to, and realizing that we would like to keep our lives filled with things we love and use, while being free of clutter. Because of that, we’re donating some things, giving away some things to friends, and selling some other things. I’ve made a video to show off the cool features of this REI backpack. 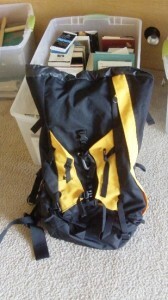 I’m looking for $40 or better, but make an offer and depending on who else makes an offer, this backpack may be yours. Might be interested, I’ll email you. If you are still looking for a buyer hit me up! I like this model. Hey Mike! Sold already. Thanks though for your interest! Hey I have the same or similar pack. Do you recall the model name? It’s kinda driving me nuts. Cheers!